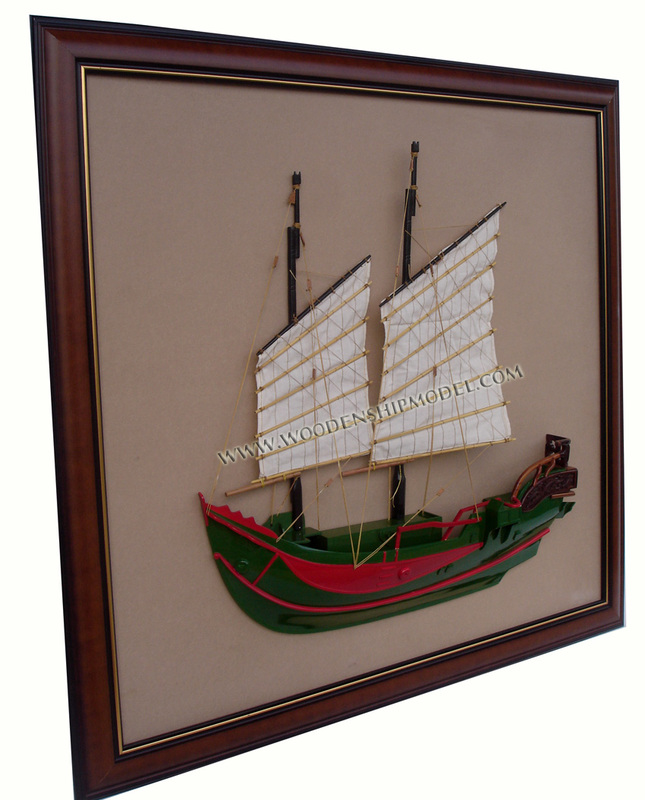 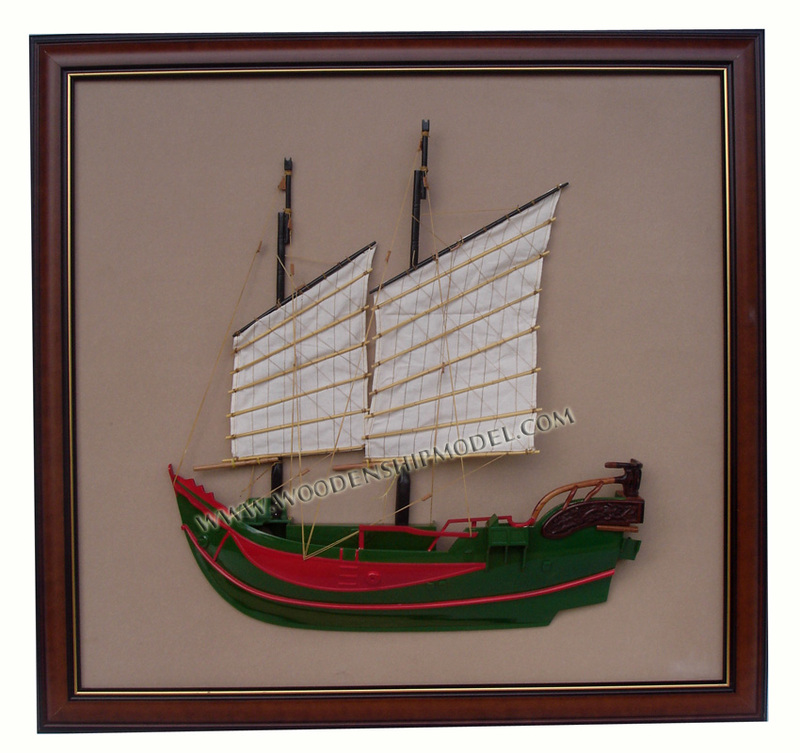 This traditional Chinese Junk half hull model is hand-crafted from hard wood then painted and mounted on the picture frame . 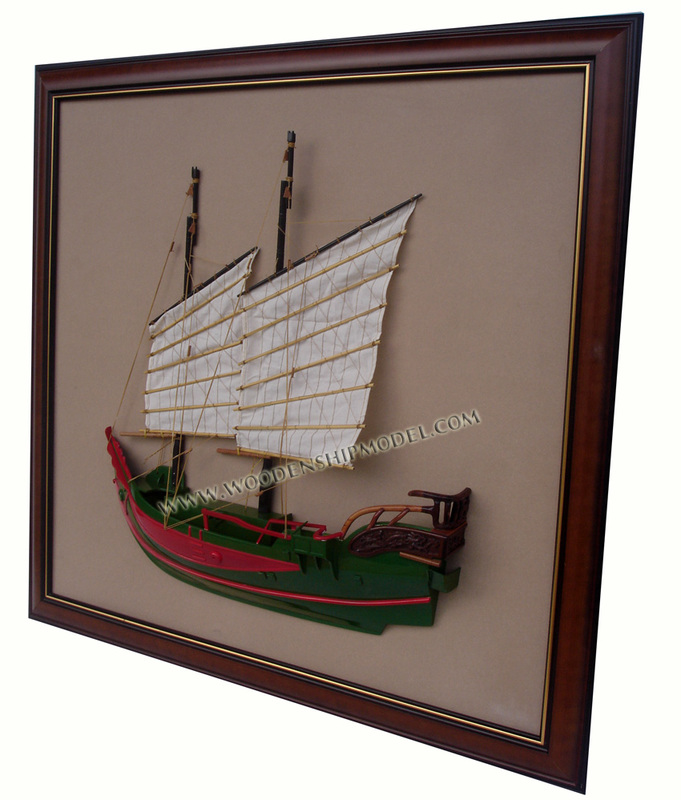 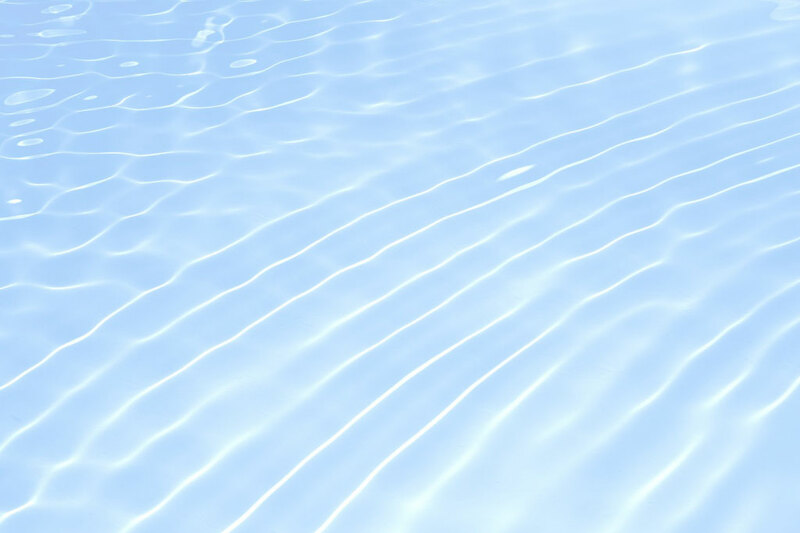 The product is suitable to hang on the wall. 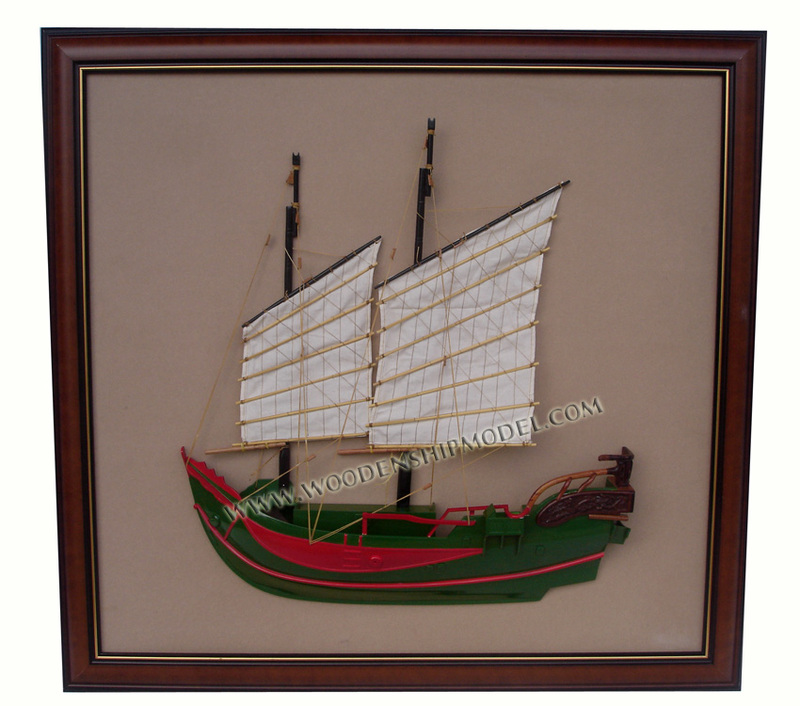 We can custom make any half-hull ships, boats or yachts.